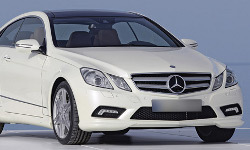 Save up to 50% compared with Mercedes main dealer servicing ! All Mercedes Servicing completed to Service specification :: Full and Interim Vehicle Servicing; MOT Service Centre; Clutch Repair and Replacement; Brake Servicing and Replacement; Gearbox Servicing and Replacement; Diagnostic Fault Finding; Air Conditioning Repair and Recharge; Exhaust Replacement; Tyre Replacement. Our Mercedes service plan enables us to cater for owners of new and older Mercedes model family saloons, sports and cross country models Mercedes alike. All routine servicing is completed in line with Mercedes warranty requirements using original Mercedes parts where applicable. We follow industry and best practice guidelines for later models Mercedes, ensuring your pride and joy's continued reliability. Your Mercedes is in safe hands with Advanced Motorcare. Newer in warranty and older cars alike, our Mercedes service plan covers it. We now have access to the official Mercedes Online Service Portal. This gives us up to date access to the latest Mercedes service information, vehicle service history and remote diagnostics assistance. This official Mercedes provided service tool also enables Advanced Motorcare to register your service with Mercedes electronic service book when completed by us. Independent Mercedes service and MOT test centre located in Radcliffe, North Manchester and ideally suited for Bolton, Bury, Prestwich Oldham, Little Lever, Holcombe Brook, Swinton, Haslingden, Salford and Ramsbottom. Visit our FAQ for Mercedes Service Schedule Information.